The best email remarketing ideas are the result of hours upon hours of testing and brainstorming. It’s never easy to see your creative work get chucked into the digital furnace when a potential reader deletes an email before opening it. You’ve spent those hours designing, composing, and refining a marketing message that’ll appeal to your visitors, but it’s all for naught unless your message is among the mere 22.66% of emails opened. Today, we’re going to explore a few little email marketing ideas that make a big difference when landing in the inbox. What can you do to help ensure your emails are opened and enjoyed? Provided that what you’re sending isn’t spam, letting your readers know who you are shouldn’t be a problem. However, ecommerce is rarely so simple and, once again, you’ve got a few options. Gmail (Web Browser): Maximum 24 characters. iPhone 4S (Portrait): Maximum 22 characters. Galaxy S4 (Portrait) Maximum 32 characters. There are plenty of devices to account for, each with their own maximum sender length, so play it safe and keep it short. Ditch anonymity. Though there’s always room for testing, it’s widely agreed that sending emails from generic entities isn’t the way to go. Displaying default email names such as “info” for info@company.com or “sales” for sales@company.com doesn’t give your readers any useful information as to who you are, and is likely to be ignored. Filling the From Field. Now that we’ve covered what not to do, let’s discuss the options for filling up the from field. Company Alias – In general, you’re going to want to use your most easily recognized moniker when delivering messages to readers. It’s conventional to simply use your business name as your sending alias. When your customers see your company name in their inbox, they likely know what to expect. Personal Name – In some rare cases, a personal name may be just as easily identified as your company. While this strategy is typically reserved for those companies large enough to have borderline-celebrity CEOs (Apple, Microsoft, Tesla), it also works quite well for smaller establishments that have marketed themselves as a personal entity. Many popular blogs or independent developers fall under this category. Hybrid – In a surprising A/B test, HubSpot found success in using a combination of personal names and business entities. Testing “HubSpot” against “Maggie Georgieva, Hubspot” found that the personal name boosted open rates by rough 8%. Yes, this breaks the conventional rule of keeping the sender name short. It’s yet another example of how creative testing can give you results, even if you’re working against the grain. At first glance, you get two pieces of information from an email. Who sent you a message and what they claim it contains. Let’s talk about creative effective subject lines that’ll attract the right kind of attention. Using Emojis and Symbols – As of March 2015, 45% of all email opens occur on mobile devices. To match this trend, many vendors are now testing email subjects designed to be read on smartphones. Lately, marketers have explored the email marketing idea of including symbols (translated into emoji on iOS devices) in subject lines to bring extra attention to messages. Symbol Type – Certain symbols are more effective than others. Multiple studies (and some internal testing) have shown that ‘☀’ is a particularly powerful emoji. When added to subject lines, open rates have increased anywhere from 8% to 15%. ‘☝’ on the other hand, seems to diminish open rates. Context – Although it’s hard to quantify, there is a distinct difference between a symbol used to accentuate a subject and an emoji randomly tossed in to steal a glance. Only use symbols that are relevant to your messaging strategy. Readers are pretty good at knowing a trick when they see it, don’t make them think you’re out to fool them with a gimmick. Easy Does It – While the idea is to bring attention to your subject line, you don’t want to attract the wrong kind of attention. Use symbols sparingly and in low volumes. Overdoing it makes your email look like all flash and no substance. Dynamic Subject Content – Every interaction with your potential customers is full of usable information. Whether your visitors are buying things, signing up for newsletters, or just browsing, you’re offered tools to personalize engagements. Collect these tidbits of information and include them in your subject lines. The main idea of email marketing is to establish a relevant connection with a consumer and elicit action. An Experian study found that by simply including a reader’s first name in subjects, open rates climbed 29%. Get creative and use whatever information your visitors offer to spark the desired action. Whether it’s on mobile devices or desktop computers, people are consistently checking their inboxes for new messages. However, there are certain times of day and days of the week that are more popular than others for digging through email. As with everything else in ecommerce, thorough testing is the only way to find the optimal send times for your unique business. That being said, some studies have uncovered a few general timing trends. 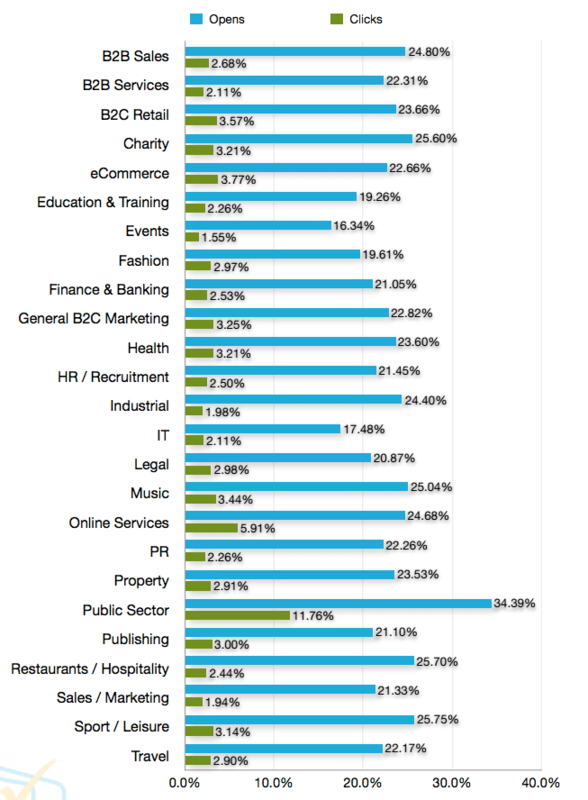 According to Experian, Tuesdays are the best day for getting emails read and the afternoons are the best time. 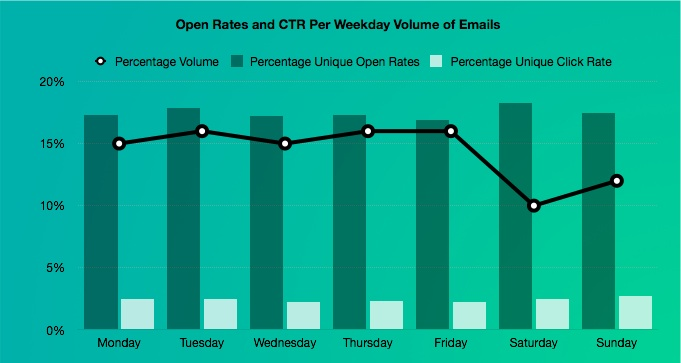 Always keep in mind that email open rates drop sharply after about an hour of landing in the inbox. Think critically about your audience, determine when readers will have the extra time and attention to spend on your message, and do plenty of testing. More often than not, the most important part of sending emails is context. When your messaging strategy stays in-step with consumer behavior, you have a much better chance of getting your emails read, regardless of time of day. Remarket Within the Hour – Our research has shown that open rates for remarketing emails drop dramatically (around 50%!) when sent more than an hour after site abandonment. If someone’s expressed enough interest in your product to cart it, don’t hesitate. The consumer is taking action, and you don’t want to lose that momentum. Consumer Narratives – Often, the most successful email campaigns are those that anticipate consumer needs. For example, if a consumer buys a limited supply of a product, determine when you should contact those same customers to offer a refill. Each reader should be nurtured on a schedule that fits their unique situation. Taking a critical look at your sending name, subject field, and delivery tactics is a great first step to bolstering open rates.